Card making paper stack in every design and hue. 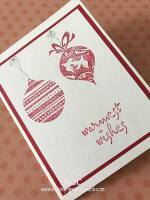 Discover the wonderful world of cardmaking paper and cardstock supplies. Be greeted by the myriad of sheer colours as you enter your neighbourhood craft stores. Scroll down to download a free printable paper below. The picture above shows a stack of rustic patterns named Boho Chic from Making Memories. This is a 6" x 6" pad with 48 sheets. There are altogether 6 designs in the pad. Because these are smaller in size so the prints are not enlarged as in the 12" x 12" pad. 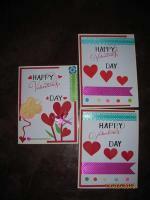 I prefer using these in card making as the smaller prints make it looks nicer on greeting cards. Other paper includes extra thin and delicate rice paper from China, beautiful Mulberry from India, Washi from Japan and smooth translucent Vellum. What a variety! Keep all your scraps. They will come in useful for punchies and collages especially if they are textured. You can also make serendipity cards (Coming Soon!) with them. So never throw any away. 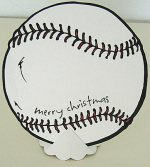 For the basic card, just use a good 200 - 250 gsm cover-weight card stock in a neutral colour. I prefer mostly white or off-white colour and sometime kraft card and layer thinner designer paper over the front of the card. As I said, just walk in to any craft store and you will be amazed by the wide display. Every time I walked into one, I just could not resist the temptation to buy. I believe that you are just like me or will be soon. Anyway, collect whatever you can find. Yes, even used envelopes that your billers sent you each month. They have a design on the reversed side and I love to use them for man's cards, for punch-arts or for making your own washi paper rolls. Most envelopes are of a higher weight and can be stamped on and coloured. Just don't throw them away. 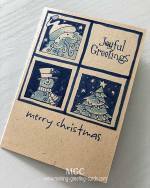 Scrutinise every piece of paper that come into your mailbox and you will find a use for them in your card making. Card stocks are more rigid than paper. They can be glossy, matt or textured around 200 - 250 gsm cover-weight paper. You can buy them ready-cut (A4 size or B5 size) or whole sheet. These are pre-folded cardstocks. Same as the basic blank card. They come with matching or contrasting envelopes. 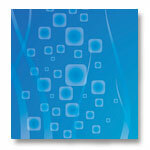 Free printable paper for card making and scrapbooking use. Just download and print using color inkjet printer onto white copy paper or card stock. This is a pdf format file so you will need the latest Adobe Reader to open this file.